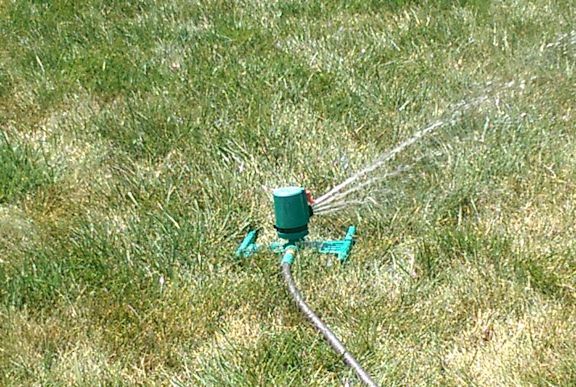 I’ve got the sprinklers set up today because the weather has been dry, the grass is turning brown, and the lawn service company just did the yearly aeration. Also, while I was outside, I watered the gardenia that I keep in a pot next to my garage (shown in my June 12th Nurturing Thursday post). That got me thinking about how we notice when our yards need watering, but sometimes we overlook the signs in our personal lives that tell us we’re in need of more nurturing. When we don’t take care of ourselves, we’re probably not going to look in the mirror and think that we look parched like the grass, even though we really do look tired and stressed. Just like our yards, we need to “water” ourselves regularly. Thanks much! I’ve also been using face lotion regularly this year, and agree that it’s a good reminder of the need to nurture oneself. Before, I would often just dab a bit of hand lotion on my face while putting lotion on my hands, which was definitely not ideal. Pingback: Nurturing Thurs – My Favorite | "On Dragonfly Wings with Buttercup Tea"
Glad you enjoyed the post! It’s raining here today, for which I’m sure my grass and plants are very grateful indeed. This summer truly has been sweltering, with very little rain even though it has been so humid.